If you're currently not connected to the internet, please do so now. Opens a dialog where the settings for the installation source can be modified. 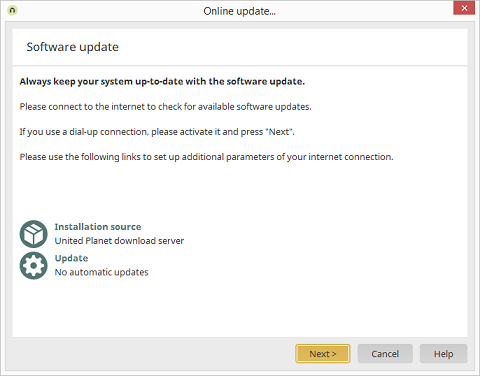 Opens a dialog where automatic updates can be activated or deactivated. Please refer to our notes about online updates.